Most action cameras are limited by battery life — you can only shoot video for so long before you have to recharge. 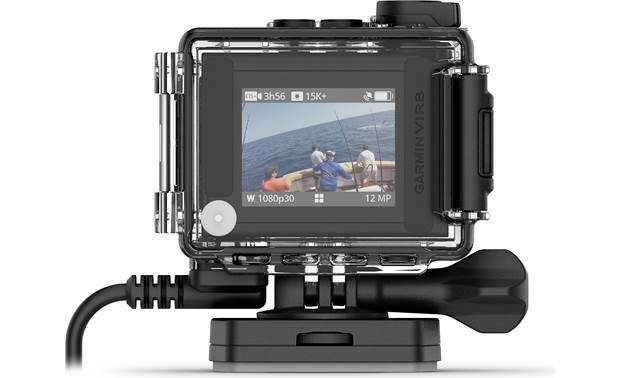 The Garmin VIRB Ultra 30 features a 12-volt powered mount that you can hard-wire to your car, boat, or ATV, so you can save the battery until you really need it. Garmin has been creating clever accessories for active people for decades, so they've packed plenty of time-tested features into the VIRB Ultra 30. It has Garmin GPS built in, so you can tag videos and photos with accurate location information, along with speed, altitude, heart rate, and other fun telemetry data. It's also as rugged as they come, and waterproof down to 131 feet with the included case. The VIRB Ultra 30 shoots gorgeous 4K video at 30 frames per second, so your vacation video is almost like being there. Its 3-axis image stabilization keeps your footage jitter-free, even when you're on the move. If you want to snap a quick photo, the camera captures 12-megapixel stills, too. The Ultra 30 is equipped with Wi-Fi and Bluetooth, which make it easy to share images and videos on social media quickly. If you don't want to wait, you can also use the free VIRB Mobile app to live-stream directly to YouTube®. It's pretty easy to get started shooting with the Ultra 30. There's a dedicated single-touch recording button that can be triggered even when you're wearing gloves. Or, you can use voice control to get things started, even when your hands are occupied steering, paddling, or clinging to a rock face. 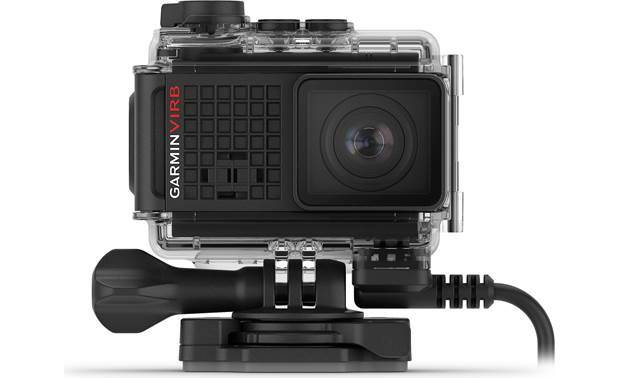 Overview: The Garmin VIRB Ultra 30 is a compact action camera that can record 4K and Full HD video and up to 12 MP still images. The camera's rugged, waterproof housing will protect the camera down to 40 meters. The VIRB Ultra 30 also has built-in Wi-Fi and Bluetooth for wireless connectivity. Memory Cards: The camera will accept microSD memory cards up to 128 GB. Class 10 or UHS-I U1/U3 cards are recommended for optimum performance. No memory card is included with the camera. 1.75" Touchscreen LCD: The VIRB Ultra 30 features a 1.75" touchscreen LCD for viewing what is being recorded, and for maneuvering through the menu and changing camera settings. Pro Video Settings: Professional video settings are available to give you more control over your video recordings. You can adjust the Exposure Bias, ISO Limit, Color Palette, Sharpness, High Bitrate, White Balance, Spot Metering, and Exposure Lock. Audio Recording: The VIRB Ultra 30 has a built-in microphone for recording audio during your video shoot. The mic can record extremely clear audio, even underwater. You can connect an optional External Microphone, either a cabled microphone or a wireless microphone, or a separate audio source. You will need a special cable from Garmin that allows you to connect an external mic or separate audio source via a 3.5mm input. The cable also provides an RCA composite video output from the camera to a TV or monitor. You can also connect a wireless external microphone via Bluetooth. Single: Allows you to take a single photo. Burst: Burst mode lets you take a series of photos over a short period of time. You can select 3, 5, 10, 20, or 30 shots over 1 second; 10, 20, or 30 shots over 2 seconds; 30 shots over 3 seconds, or 30 shots over 6 seconds. Time Lapse: You can take a series of single photos at a regular interval over a period of time. You can choose a preset interval (1, 2, 5, 10, 30, or 60 seconds) or a custom interval (001 to 999 seconds). Self Timer: You can activate the Self Timer if you wish to delay taking a photo. You can select the following delay times for the Self Timer: 2, 5, 10, 30, or 60 seconds. Field of View: You can change the field of view in the Setup menu. There are three settings: Wide, Zoom (1.5x), and Ultra-Zoom (2x). Lens Correct: The VIRB Ultra 30 offers a lens correction mode that corrects wide-angle barrel distortion and reduces the field of view. Activate Voice Control: "OK, Garmin." Take a Photo: "Take a Photo" or "Take a Picture"
Start Recording Video: "Start Recording"
Stop Recording Video: "Stop Recording"
Place a Bookmark: "Remember That"
G-Metrix: The VIRB Ultra 30 is equipped with a Garmin GPS receiver, plus G-force and orientation sensors. 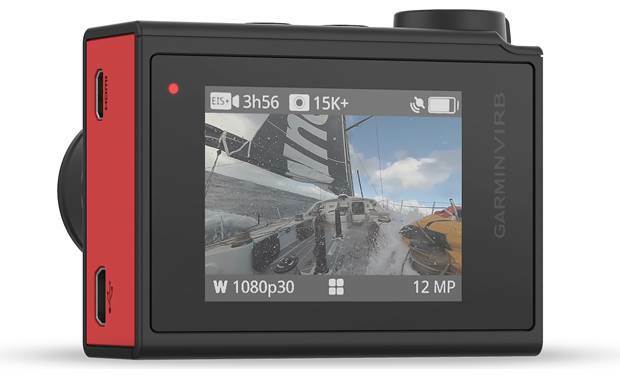 With its ability to wirelessly connect to external sensors (ANT+) and other Garmin devices, the camera can capture performance data during your activity and display it along with your recorded video. Using Garmin's free VIRB mobile app or VIRB Edit desktop application, you can overlay gauges, graphs, and other data on your video, showing your speed, acceleration, G-forces, heart rate, etc. in real time. Note: In many cases, optional external sensors (sold separately) are required to capture performance data. Available sensors include heart rate, speed and cadence, power, temperature, and an OBD-II sensor. Image Stabilization: When participating in a vigorous activity, the video may be very shaky. Enabling digital image stabilization will activate the camera's built-in motion sensors to detect camera movement and will smooth out the video caused by camera shake. Tracks: The VIRB Ultra 30 keeps a record of your travels while recording. The track log contains information about points along the recorded path, including time, location, and elevation for each point. Data from any paired ANT+ sensors is included as well. The track log for the video and sensor data is saved on the memory card as a .fit file. 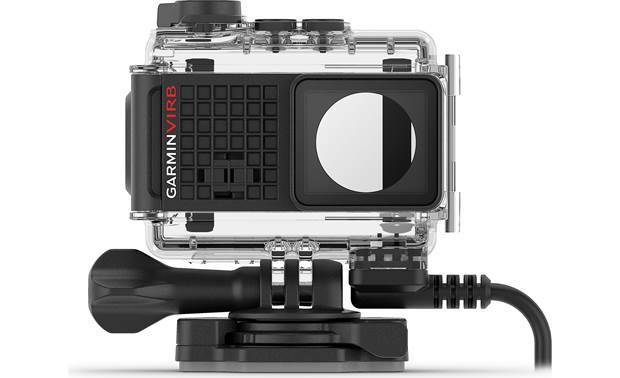 Remote Control: You can start recording, stop recording, and take pictures on the VIRB Ultra 30 using another compatible Garmin device with ANT+ wireless technology, such as the VIRB remote control, or other Garmin wearable products. Multiple VIRB Ultra 30 devices can be controlled remotely, and you can control one VIRB Ultra 30 with another. VIRB Mobile App: The free Garmin VIRB Mobile App lets you capture and share your high-definition footage by live streaming on YouTube. The also lets you view, edit, and share videos with your friends. The VIRB Mobile App is compatible with iPhone, iPad, or iPod touch running iOS 10.0 or later, and Android devices (version varies with device). VIRB Edit: The VIRB Edit desktop app (available via free download) combines video footage from your VIRB Ultra 30 action camera with GPS and other data from a compatible Garmin device. The software allows you to review and edit your footage, adjust G-Metrix gauges, add music and seamlessly switch between camera angles. When using multiple cameras, VIRB Edit can synchronize your footage using embedded GPS timestamps to let you seamlessly switch between multiple camera angles with the click of a button. 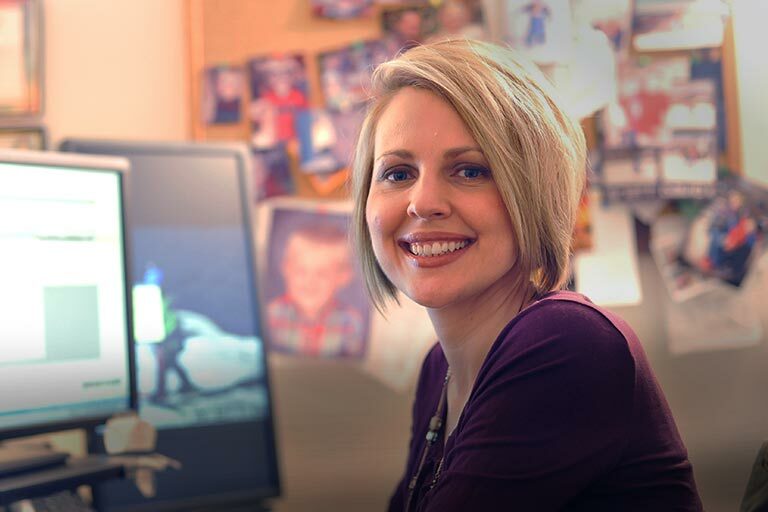 VIRB Edit is compatible with Windows 7 SP1, 8/8.1, and 10, plus Mac OS 10.11-10.12. Power Requirements: The VIRB Ultra 30 comes with a 3.6-volt, 1250mAh Lithium-Ion rechargeable battery (010-12389-15), which provides up to approximately 2 hours 15 minutes of recording time. Powered Mount: The waterproof case features an 8" pigtail that connects to the 10-meter (32.5') power cable that allows you to hardwire the camera to your boat, ATV, or vehicle. Metal contacts on the inside of the case match up with the contacts on the bottom of the camera. Mounting Options: The camera comes with a waterproof case, along with several swivel mounts and mount adapters. The included flat mount has a strong adhesive that lets you mount the device on most any clean, flat surface. The short and long screws can be tightened/loosened by hand or with the 4mm Allen wrench. When mounting the camera in a wet or humid environment, the included anti-fog desiccant pack should be inserted inside of the clear case to prevent the case from fogging up.